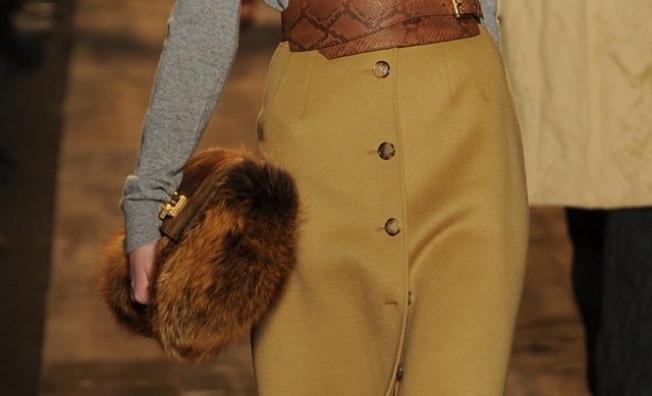 A fox fur clutch from Michael Kors. Archive photo. Wednesday the 28th, the fashion show, previously a luncheon event, will move to cocktail hour at the Westin St. Francis on Union Square. Beginning at 5:30 p.m., cocktails, live auction and the fashion show (featuring professional models) will show items in the Michael Kors collection that are available for purchase for fall/winter 2010. In terms of philanthropic bang for your fashion show buck, this is one of the best deals around. Tickets start at $175 and $100 of that is deductible, going straight to the SF Ballet. Sarah Granger is the founder, publisher and managing editor of SF Bay Style. Read more articles like this on her website.